I’ve always been fascinated by the science behind marketing and love watching my two young daughters, age six and eight, to see how their generation (Gen Z) reacts to different marketing tactics. I heard at a conference last year that Gen Z will demand a greater level of personalization in marketing than any other generation because they are being raised in a time where everything has always been customized to them. I recently witnessed this first hand when my daughter finished a Disney TV series. She told me she knew what she would be watching next because Netflix recommends similar shows. And after using her allowance to buy a Baby Alive doll on Amazon, she was shown accessories that go with the doll so she knows what to save up for next. This type of personalization is more important than ever for email marketers. 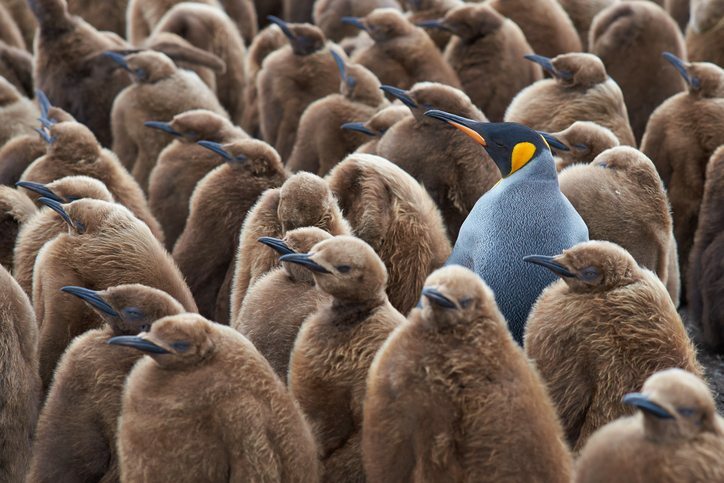 But personalization must go beyond just using a first name in your communication. Remember that all relationships are a give and take. And marketers must ensure they are giving first and adding value to a subscriber’s day before they make any sort of ask. One size doesn’t fit all. Fight to collect segmentation data in order to deliver relevant, persona-based content. Continue to create new content to deliver to your various personas. Be careful not to let your content get stale–consistently update your messaging to grow with your user. Focus on behavior. Dive into what actions your subscribers take with your brand and product. This means personalizing content for them, as well as delivering that content in the channel they prefer, at a time that they’re likely to engage, and with a frequency you know they appreciate. 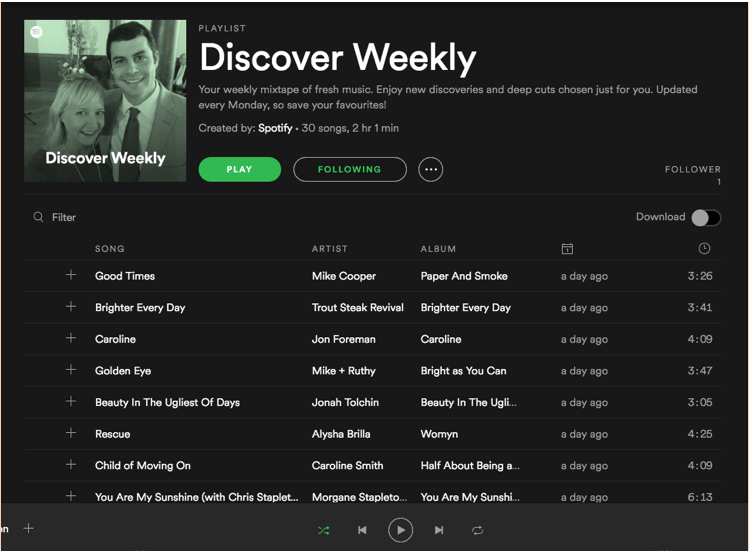 One of my favorite examples of genuine and thoughtful personalization is Spotify’s Discover Weekly playlist. Spotify generates a weekly playlist of new music and recommendations based on the music I listen to on a regular basis and listening preferences. I now have a separate playlist with my “discover favorites” which contains hundreds of songs I probably wouldn’t have found on my own even though they are so on point with the music that I love. Spotify follows these three tips to successful personalization to a tee. They don’t deliver one generic recommendation playlist to all their users, but a custom one for each user. They provide me with something that not only is personal to me, but brings joy to my week. All I need to do is listen to music, which I am already doing on Spotify, and the music is matched to my preferences. Happy customers and subscribers equate to a better bottom line for your business (no matter what industry you work in). Increased listening correlates to increased subscriber retention, so it makes sense that Spotify would invest in these efforts. As you begin to incorporate these three tips to personalization, pay close attention to and use your data to show your subscribers that you care about them as an individual. Demonstrate that you know something about their likes/dislikes, preferences, and interests and then message them accordingly. To learn more about segmentation strategies, download SendGrid’s Segmentation Guide. Personalization should be like getting a gift from a friend, thoughtful, unexpected–and something that will be cherished. 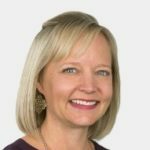 With more than 15 years of experience, Carly Brantz is an email deliverability and inbound marketing veteran. As the VP of Revenue Marketing at SendGrid, Carly empowers her team to transform marketing from a cost center to a revenue generator. With a key focus on funnel optimization, Carly leads the team responsible for content creation, lead nurturing, SEO/SEM, and website optimization. An accomplished speaker, Carly shares her email delivery and revenue marketing tactics as a headline speaker on SendGrid’s international roadshow as well as other Marketing conferences. What Makes A Great Display Ad?